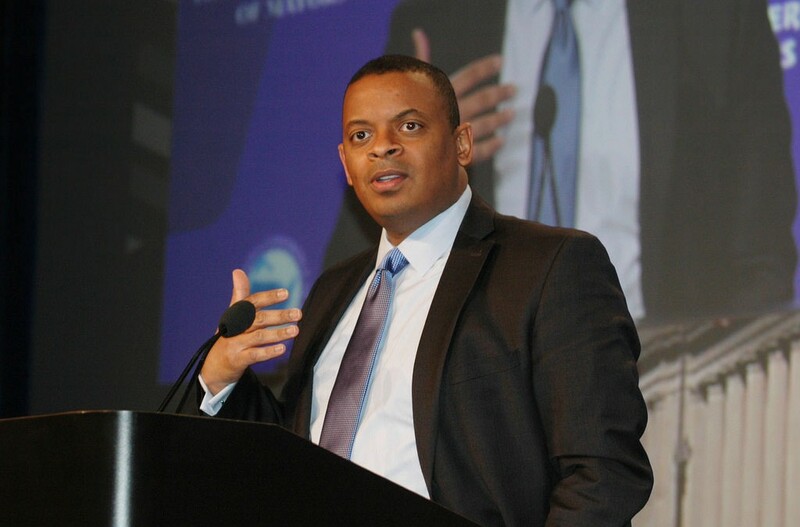 Following recent passage of the five-year “Fixing America’s Surface Transportation” (FAST) Act reauthorization law, U.S. Secretary of Transportation Anthony Foxx is highlighting the opportunity to use transportation planning to achieve a variety of objectives. In remarks delivered last week at two separate events to the Council of University Transportation Centers (CUTC) and the Transportation Research Board (TRB), Secretary Foxx— while applauding the FAST Act—urged a change in the way transportation projects are built. Specifically, Foxx noted the original construction of the Interstate Highway System, in some instances, displaced families and divided communities. A disproportionate amount of these impacts, he said, fell upon poor and minority families. Looking to the future, Foxx urged a focus on how transportation projects can be constructed in a manner avoiding such impacts while also locating projects where they could help disadvantaged communities escape from poverty. Secretary Foxx singled-out multi-modal projects that provide better access to employment for those without cars as an example of how transportation construction can improve the economic well-being of communities. Foxx’s recent remarks build on several U.S. Department of Transportation (U.S. DOT) activities designed to address income inequality. The department’s “Ladders of Opportunity” initiative focuses on “helping underserved people find good jobs in the transportation sector,” and ensuring transportation planning connects and revitalizes communities. As an example, the U.S. DOT’s launched in 2015 a pilot program and proposed rule change reversing a long-standing prohibition against including hiring preferences in federal-aid highway and transit projects let by state and local governments (as reported in the Jan. 13 Newsline). ARTBA will continue to work to ensure the perspective of the transportation construction industry is part of this important discussion.